The high speed of Samsung’s new CSC, comes in part from its new DRIMe V Image Processor, which also supports 4K UHD video recording. 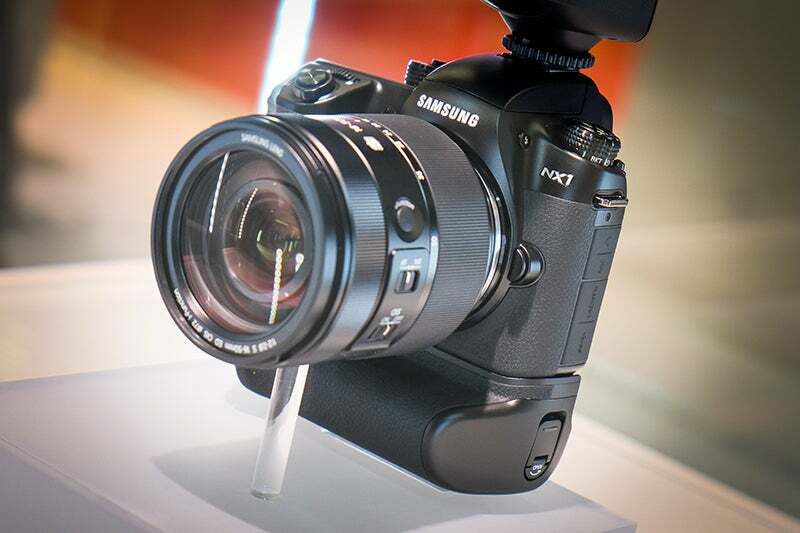 The camera is equipped with Samsung’s brand new NX AF System III, which boasts 205 Phase Detection AF points and acquisition times as lean as 0.055sec. A new feature called Wide Phase Detection allows the NX1 to track subjects almost anywhere in the frame. Like many of the model’s features, it’s designed to allow photographers to capture the briefest, most fleeting moments. Given that the NX1 is also capable of burst shooting at up to 15fps, Samsung seem to be firmly establishing it as an action shooter. New to the NX1 is the intelligent Samsung Auto Shot (SAS) feature, which Samsung claims is capable of taking the shot at ‘precisely the right moment’. Using advanced hardware algorithms in the DRIMe V processor, SAS recognises high speed motion and predicts the exact moment with which to capture the shot. Samsung says SAS will be able to capture critical action moments such as when a baseball player strikes a ball. 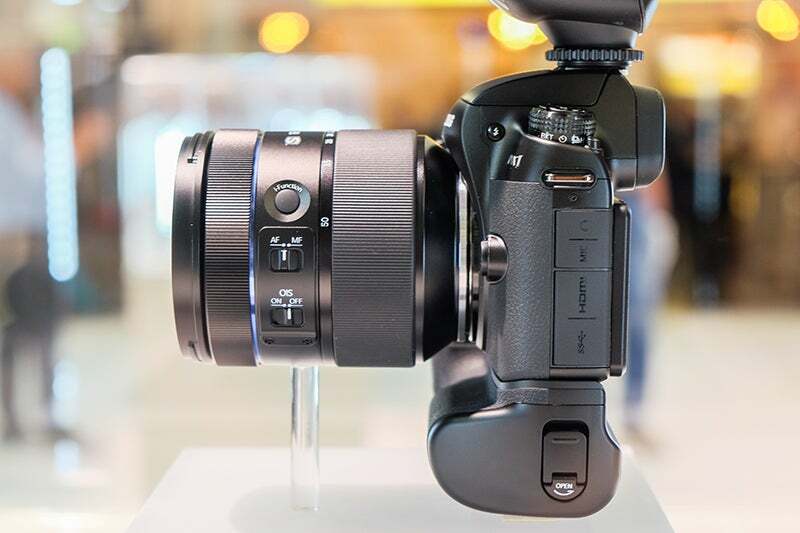 The NX1 is also equipped with a 28MP APS-C CMOS sensor featuring Back Side Illumination to reduce noise. It features a native ISO range of 100-25,600, which is extendable to 51,200. The NX1 is capable of recording 4K and Ultra HD video, and the Phase AF is also available during video recording. Alongside the NX1, Samsung is also expanding the NX lens-range with a new 50-150mm 2.8 ED OIS lens, a high-end premium telephoto with a 35mm equivalent focal range of 77-231mm. 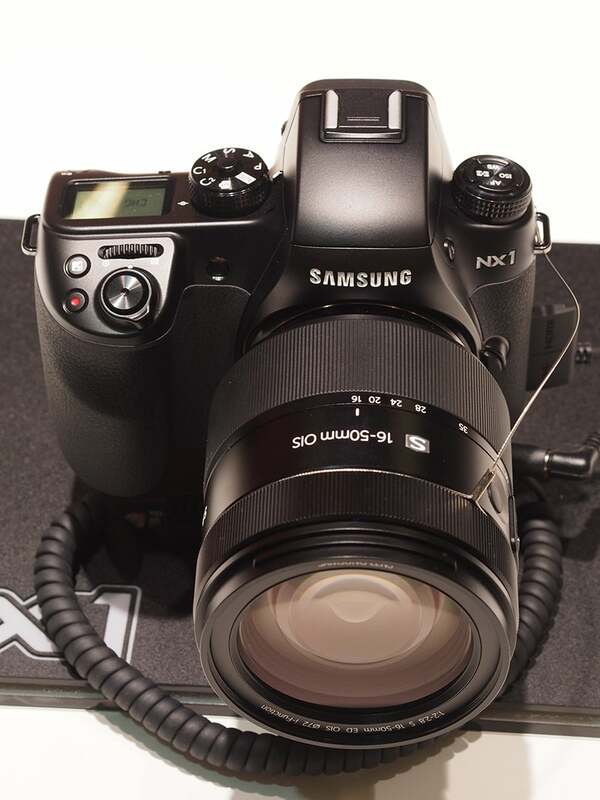 Samsung are yet to confirm when the NX1 will be available, but we do know that it’ll cost £1299 body-only.